NH 1800 is a successor model for NH-1500 with number of changes mode. NH-1800 provides the same kind of stability and reliability as NH-1500 plus better specs for more customer options. 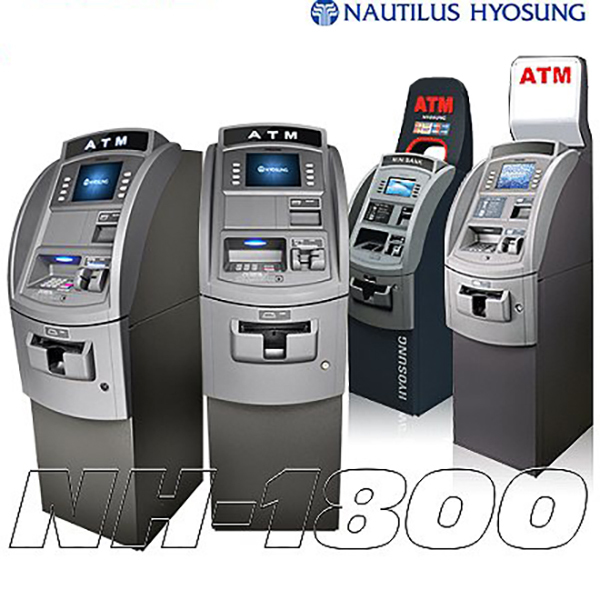 NH-1800, a product of Nautilus Hyosung’s ATM technology acquired from years of experience in the retail industry, is engineered to provide outstanding reliability at an affordable price. Unit arrangement, voice guidance system, and transaction guidance indicator offers comfortable accessibility to all customers. Furthermore highly visible topper makes it easy for customers to locate the ATM. Internal components may be subject to change with the introduction of new technology. 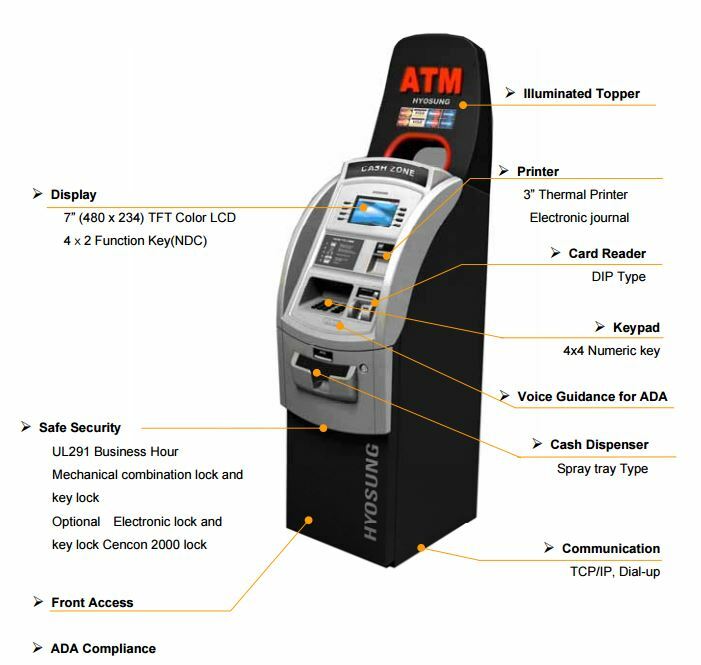 Nautilus Hyosung reserves the right to change the specifications of this ATM to accommodate the changes in technology. State of the art technology acquired through our experience in the US retail industry ensures speedy & accurate transactions. Features such as UL291 business hour safe, VISA/PCI EPP certified and verified software make NH-1800 a leader in ATM security. Equipped with a wide variety of cash dispensing units, NH-1800 series not only can fill up to 6,000 notes but also gives a choice of price range for the customers. In addition, the display and the safe specification can be customized as an option. Small foot print and ergonomic design allows NH-1800 to be installed in virtually anywhere and the function keys with 7” wide display and voice guidance system complies with ADA regulations. NH-1800 is simply the ultimate ATM solution in the off-premise industry.